Jim Shore's charming miniatures feature some of the most popular imagery from the full-size collection. 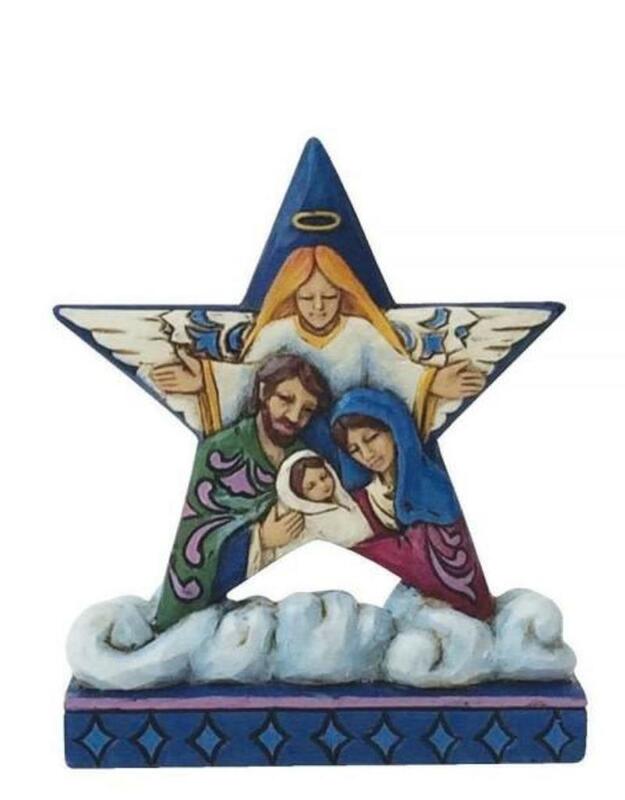 Beautifully crafted in Jim's unmistakable folk-art style, this heartfelt Nativity Star tells the timeless story at the heart of Christmas. Designed for the Heartwood Creek by Jim Shore brand. Ornament hangs by jute rope and features a handcrafted look. Item is packed in a polystyrene with a Jim Shore tape. 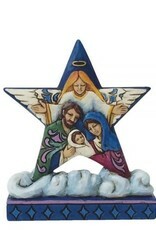 Unique variations should be expected as product is hand painted. Not a toy or children's product. Intended for adults only.